I love to decorate my windows for different holidays. Do you? My favorite things to use are kid-made decorations. 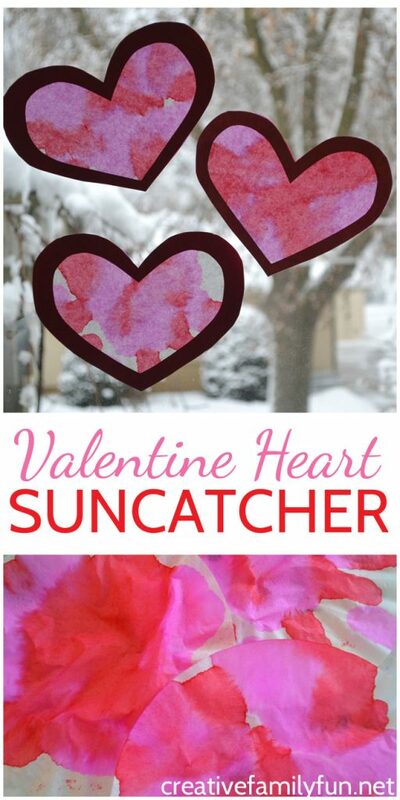 We’ve got some awesome Easter suncatchers, but nothing for Valentine’s Day. 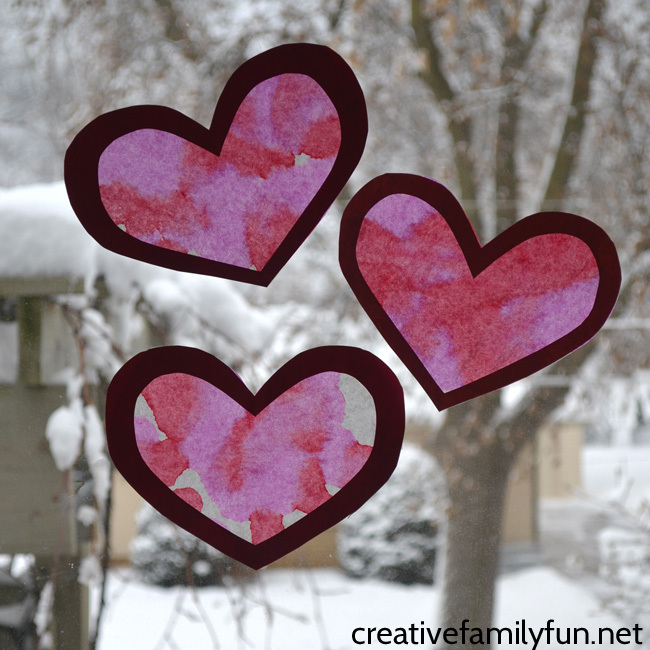 So we got out a few simple supplies to make a colorful Coffee Filter Valentine Heart Suncatcher… or two or three. For the first part of the process, we’re going to paint our coffee filters with our liquid watercolor. But, don’t grab the paintbrushes, we’re going to add a fine motor twist and use eye droppers. You’ll need one coffee filter per suncatcher. But, if you’re anything like us, you’ll want to create two or three heart suncatchers per person. Set up a station for dying your coffee filters. I placed a paper towel on top of a plastic tray to protect my table. Then, pour some of each color of liquid watercolor into small containers. 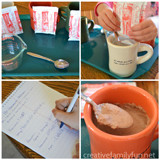 Flatten each of your coffee filters. 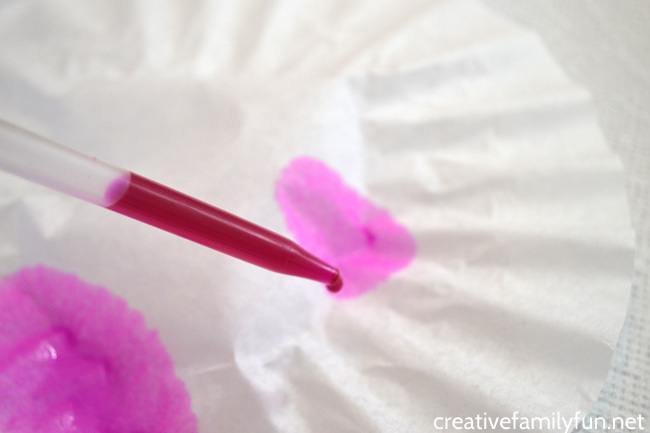 To paint the coffee filters, use the eye dropper to drip your paint onto the coffee filter. Set them aside to dry. 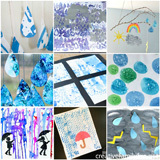 Your dripping paint will give you a fun, colorful tie-dye effect. They turned out so bright and beautiful! 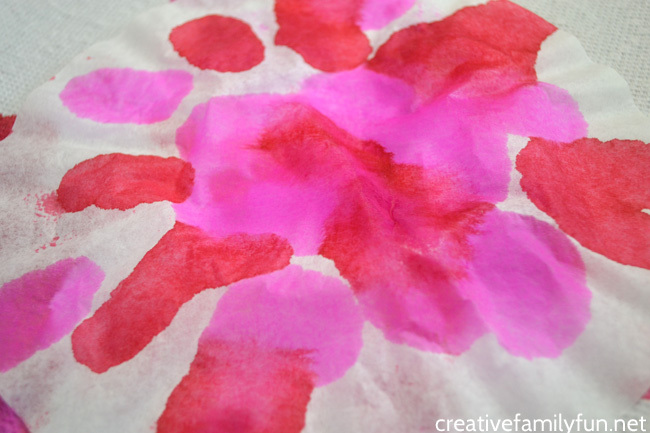 Note: If you don’t have liquid watercolors, you could use water dyed with food coloring. 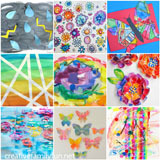 The liquid watercolors are much brighter, so instead of vibrant suncatchers, you’ll have soft pastel suncatchers. 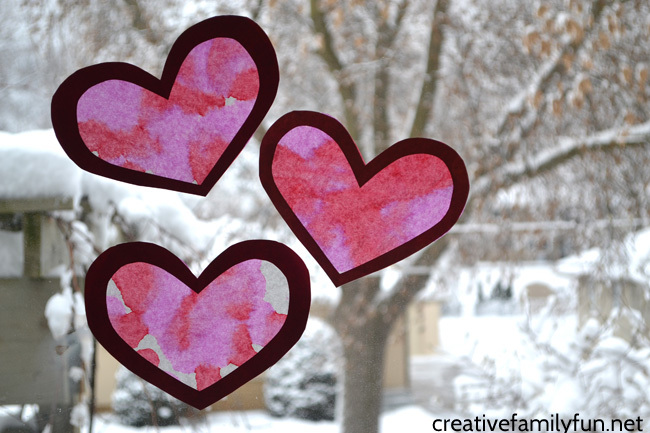 After your coffee filters have dried, cut out a heart outline from your construction paper. I found that cutting the construction paper in half and then using that half to make a traditional folded-paper heart was the perfect size for our coffee filter. 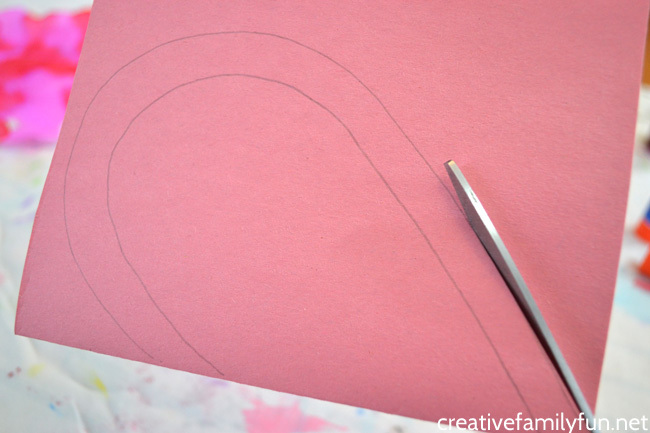 Use your glue stick to attach your heart outline to the coffee filter. 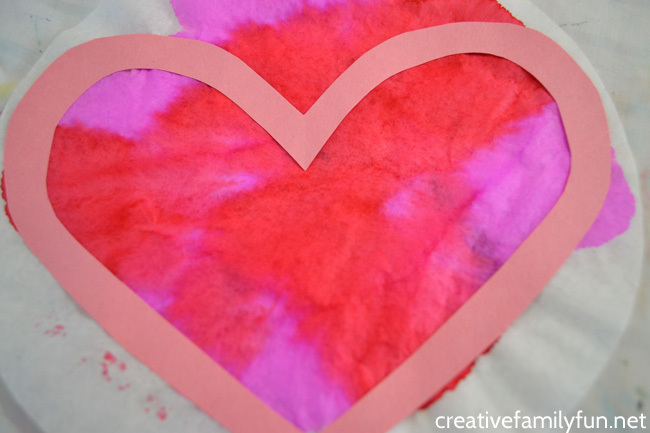 Trim the edges of the coffee filter so that they’re even with the construction paper heart. Once everything is trimmed, it’s time to hang your heart suncatcher in your window. Make enough for all your windows. They definitely brighten up a cold winter day! If you enjoyed this heart suncatcher craft, the above photo is perfect for sharing on Facebook or you can share the photo below on Pinterest.